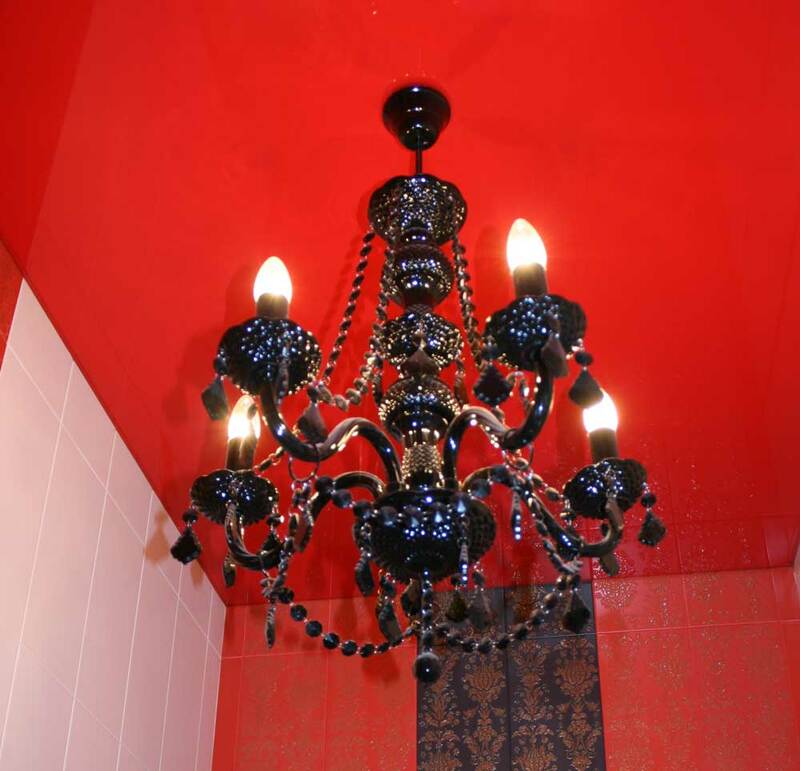 Culture | Black chandelier in conjunction with a red stretch ceiling. Looks very gothic. 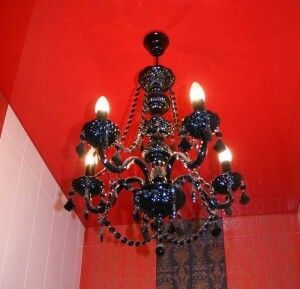 Black chandelier in conjunction with a red stretch ceiling. Looks very gothic. Towel rail-solfetok. White on white tile.The narrowness of the toilet is offset with white tiles on the side walls.